For this new local business I developed a logo that played on the services offered by the company. 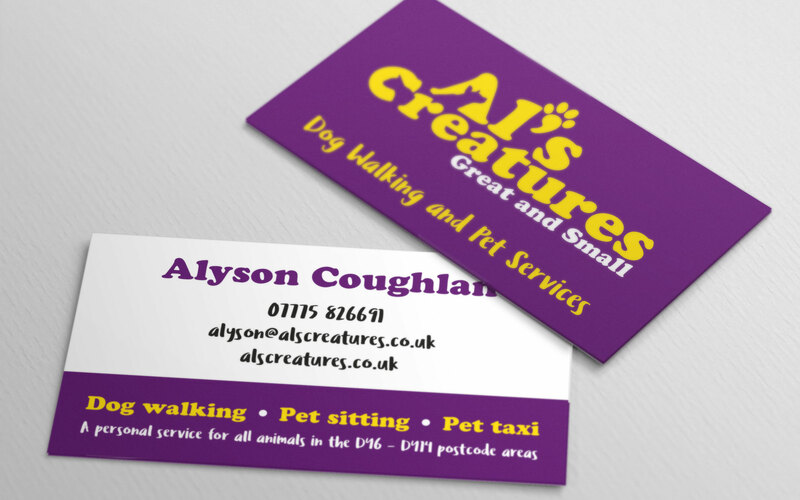 Along with the branding, I produced the website and stationery. A few words from the client. 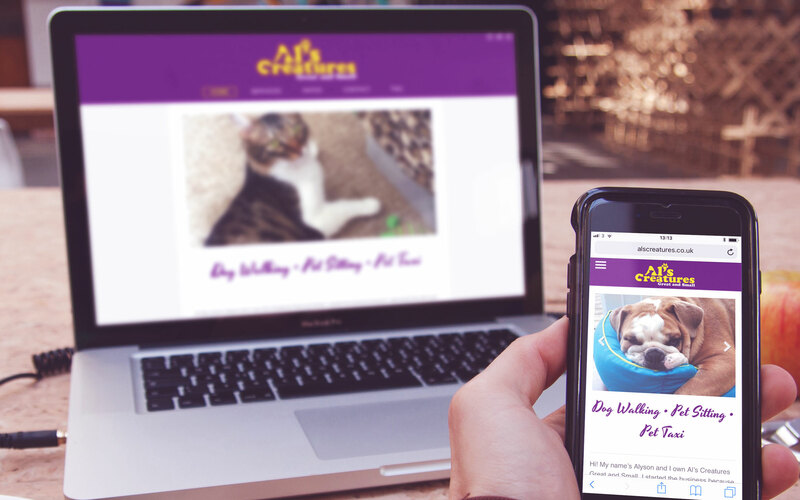 I’d seen some of Matt’s previous work so when I set up my own dog walking and pet sitting business in 2016 I approached him to design everything I needed – from a logo to business cards, promotional postcards, display banner and my website. Matt took what was a pretty vague brief (it had to be purple and have pictures of animals on it!) and somehow managed to produce exactly what I was looking for. As well as putting together a great website, Matt helped me with my printed items; he sourced the print and helped with the specification. I’d have been lost without his help and expertise and I have no hesitation in recommending his service.